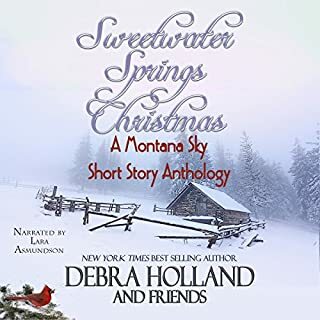 Come celebrate the holidays in 1895 Sweetwater Springs, Montana, as 10 western romance authors join New York Times best-selling author Debra Holland in telling 14 short stories of love and laughter, heartbreak and healing, and most of all, Christmas joy. 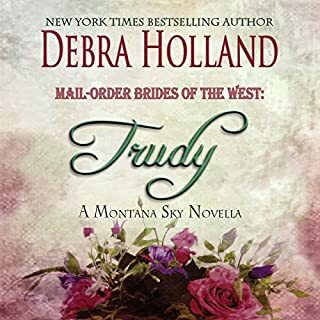 The well-educated daughter of a lawyer, Trudy Bauer arrives at the St. Louis based Mail-Order Brides of the West agency full of excitement for an adventure of a lifetime. She befriends the agency's maid, Evie Davenport, and the two form a strong and lasting friendship. They vow to stay in contact through letters when Evie takes hold of her destiny and arranges a marriage on the sly. Each brave young woman is ready to face whatever an unknown groom and life in Montana can throw her way. 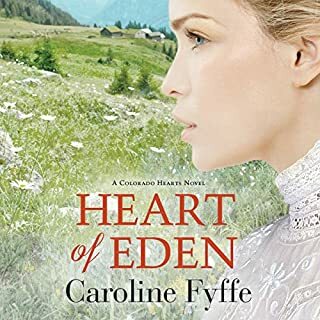 When Lina Napolitano's nanny position ends, she has no desire to return to the crowded family compound in St. Louis and endure the pressure from all her boisterous and overbearing Italian relatives to marry a local man. After eight years of living away from her family, she's accustomed to making her own decisions. Lina wishes to be a wife - just not of the local garbage man or fishmonger. Beautiful cultures can cause love to abound! 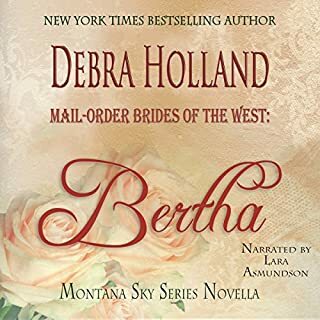 Shrewish Prudence Crawford is the last woman left at the Mail-Order Brides of the West Agency, because she's rejected every match offered to her as not good enough. One-by-one, she's watched her fellow brides leave for their new lives and has heard tales of their happiness, and she wants that for herself - but not just any man. She will only take a husband who offers wealth and status. Can Michael Morgan tame the shrew, or are they destined to have a miserable marriage? Well, Debra, you did it! A well written book that is part paranormal, part science fiction, part fantasy and part romance and a place where worlds collide. A war of Gods and royalty and at a time where family would kill each other to gain power. A princess is in danger and her hero is in her dreams. It is dream walking at it's best. Read along as Daria faces danger in many different places. 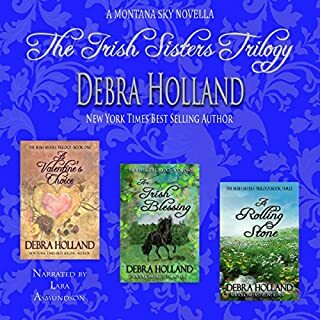 The author, Debra Holland tells a story as only she can while keeping our interests peaked and keeping us guessing as to what is going to happen next. The narrator, Noah Michael Levine delivered this story flawlessly with that entertaining voice he has. He is superb at multiple voices and his accents are spot on. I can almost hear a sense of humor in some of his character voices. Kudos to both author and narrator for a job well done! Can't wait to get into the next one! 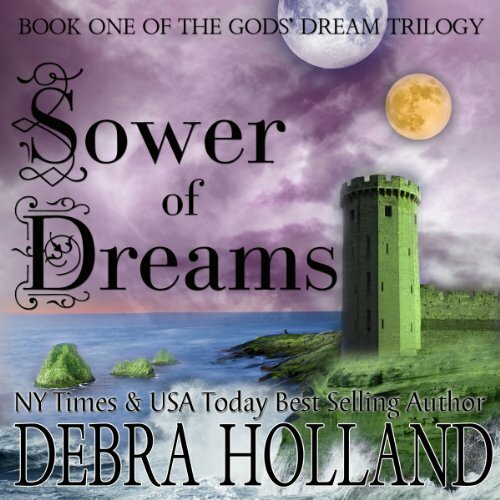 Would you consider the audio edition of Sower of Dreams to be better than the print version? What was one of the most memorable moments of Sower of Dreams? This is a hard question to answer because many scenes were memorable and I don't want to give anything away for someone who hasn't read or listened to the book. So, spoiler alert ahead: One of the most memorable scenes was when the hero finds and rescues the monkey bats. I loved the new words given for the pits (especially as a Star Trek fan myself). I like how real all the character sounded. How does a male do deep male voices and little girl voices so well? Training? Here's a review I posted on Amazon and I am new to reading books through kindle and Audiobooks and Amazon so I don't have many reviews on there. I am very happy I was introduced to this author :)First, a genuine compliment to the author: The worlds intrigue me as much as Terry Goodkind's Sword of Truth . In over a decade, I have not been pulled in so craftily! Holland writes her worlds and settings with fascinating detail, yet never with too much detail. In other words, I was never bored and felt like I was IN the story.The characters are real and layered. The action well-written. The story-line extremely creative.Second, I can't wait to listen to the second book.Third, a mention about the narrator, Noah Michael Levine. How do you, Mr. Levine, narrate women's and children's voices so well? I clearly saw each character's facial expressions and body posture because of your narration. Also, I was very impressed that you made the voice of the main character's brother sound so close to her voice but completely male instead of female. In other words, you perfectly portrayed how I expect siblings’ voices to match without being identical. From the child's voice to the accented foreigner's voice, I'm impressed by your work!Did I say I can't wait to purchase the second one? I can't imagine driving now without Mr. Levine's voice in my ear! And, it’s obvious why Holland is a best seller. What did you love best about Sower of Dreams? Sower of Dreams was my first Audiobook so I had some complication with the speed of the reading, but then realized that was completely my fault. Once I got the reading set to the speed I was comfortable with - I was happy! I started by listening in the car every day to & from work, then found myself missing the characters and listening at night and off & on during the workday. As with a lot of series Sower of Dreams is a little slower of a read, not as much going on, but working up the rest of the series. Lots of details put in so that you can get drawn into this new world (listening to Reaper of Dreams now and loving this one). The details that are given are wonderful. You can visualize the creatures, the people, the gods, the world with the purple sky and two moons. You get transported into it! Love that there are references to our world as Khan is from Earth. When I was finished with this book I was so sad that it was over. I felt like something was missing driving to work.. Was so excited to get the 2nd book Reaper of Dreams. I am into this series and will be also leaving a review of Reaper of Dreams which I have started yesterday and honestly loving it. Audiobooks may be my new thing!! 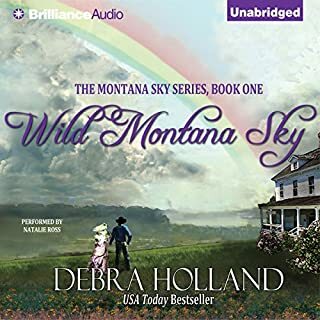 Thank you Debra Holland for writing this wonderful Fantasy series - and Thank you Noah Michael Levine for a great narration of her work. What other book might you compare Sower of Dreams to and why? Honestly I would have to say Daria.. As funny as that sounds. Anger at the bad guys!! Sympathy for Daria, her family and Jasmine. What would have made Sower of Dreams better? I'm usually an "unabridged or nothing" type of girl, but I honestly think the first improvement that should be made is to edit at least half the book away. Compounding the problem is a narrator that I don't think is well suited to the story and speaks very slowly. What was most disappointing about Debra Holland’s story? I got started reading because I was intrigued with the world of dreams/magic that was presented in the beginning. However, the structure of the plot was very sloppy. The use of "magic/religion/other sense/dreams" was incredibly inconsistent. So often the characters missed the ridiculously easy and obvious solution, and spent hundreds of pages doing things the stupid/hard way. Additionally, the author removed any subtlety from the book. Instead, you were beaten about the head with any character opinions/traits. For example, I lost count of the times we were told, in lengthy pros, that the heroine was having god/religion issues of feeling abandoned. What didn’t you like about Noah Michael Levine’s performance? I feel like he spoke very slowly, which really compounded the problem of a poorly edited book. Further, his female voices were really silly. You spend most of the time "in the head" of the heroine of the book, yet the narrator is an older sounding man. His "teenage girl" voice is pretty silly sounding (kind of like a muppet), which made it even harder to take the story seriously. If you could play editor, what scene or scenes would you have cut from Sower of Dreams? After our two main characters meet, things should go much faster. Instead, the author spends hours and hours describing dreams, romantic work breaks, and fantasies they're having while preparing for the "big fight scene." If this had been a movie, I would have watched the last 1/2 on fast forward. I purchased this book at a severe discount, and I still don't think it was money well spent. Debra Holland has created a Fantasy world that makes the reader yearn to find that secret entrance in the desert. Khan, is horrified to hear his half-brother plotting to kill him to obtain his inheritance. Assisted by a long time family employee, he flees to a secret location using a mysterious map. His plan is to hide out long enough to evade his brother then sneak off to another country. Things don't quite go as planned and Khan finds himself (with the help of a mysterious statue) no longer on present-day Earth, but in a completely different world. Daria, is a princess in her world and gifted with what they called their "other sense". She is a seer and has vivid dreams of a mysterious man from another place. She finds herself yearning for this man despite never having really met him. When her kingdom is suddenly attacked by a longtime friendly neighboring kingdom, she too flees for her life. Guided by a mysterious goddess the two come together in an adventure that will have you wanting more. Debra Holland has fun with us by throwing in things like an odd worm-like creature that Khan has to deal with and at a loss for what this thing might be called he gives it a Klingon name. I laughed out loud at that one. Again she uses humor and whimsy when she brings in two creatures that Khan thinks of as "monkey bats". When Khan and Daria finally do meet, the bond created in their dreams becomes real and together they conquer their enemies. I highly recommend reading the entire series. You won't want to leave this fantastic new world. Something more thought-provoking, with less focus on racing hearts, blushing cheeks, and rainbows. I would start with the first sappy romance scene, and delete until I got to the end of the book. This is a gently-told story of a princess who falls in love with a mysterious dark stranger. I found it banal. Survival and finding love, even with loss. I am in the middle with this story. It's got a slower feel to it. Thinking back through the story I realize we get a bit of everything. There's danger in both Daria's and Khan's lives and they have a goal that's not possible for one reason or another. But they also need to save themselves. The beginning feels slow as it sets the stage of the world. The sense that's part of the royal people we see. The sense of dangers and more. Then the dream threads that Daria has that she can visit with others in dreams. Along with meeting of the characters and memories of Indaran, the eldest brother of Daria's that was lost at sea on a mission he chose to go on. The story is slower in the fantasy sense as it presents the problems and solutions with characters working together. This is to thread a relationship for them that is growing stronger. It's a story of finding love, even with all the loss one might have to life through. The magic connection Daria and her family has is neat. It's something that's called a heart line. She knows that they are alive and connected with them. A power that thrums in them. They are connected to their God this way as well. But this magical connection grows with Khan as well. He feels it with his goddess and with Daria. It's interesting to see how it grows with the strength of their relationship. We don't get into great depth of many gods here other than a few details on Daria's sea god and Thaddis's god. We do get a great view of the goddess Khan comes to serve. The Gods seem to be very active in the lives of their people. However, Daria's god abandons them. She can't connect or talk with him as she was able to do. Khan has a Goddess that helps him, and he pledges his life to help care for her land. The Goddess is very active in helping him to do just that. The name of the series, Gods' Dream Trilogy, is what I'm looking forward too. With the ending of this book, it feels as there is more to come. Yes. His vocal speed was not off pace for the events of the story. Noah tells the story in the accents and tones of each character. There are Middle Eastern accents present along with higher tones for different characters. The infliction of his voice fits the presence of the characters, such as King Iceros and others. There are dream moments present as it's an important part of Daria's abilities, and Noah narrates it in a softer tone so we know we are in the dream moments. There are emotions that become familiar to each character in his voice. He also yawns and a few additional vocal cues used through the story to bring the moments to life. Maybe. The fantasy descriptions would be visual and not take from the action that could be accented, along with the love growing. Debra's writing. It doesn't matter if it's fantasy or a Western the book is great. It did take me a couple of chapters to get into the book and adjust to a male narrator. Daria and Khan's definitely has my attention and I can't wait to begin the next book. While this is not my preferred genre, I am glad that I gave it a try. Sower of Dreams is a very creative and unique piece of fiction. My attention was hooked when the Hero and Heroine, from different worlds, met in their dreams. The portals between worlds and the free-will offered by the goddess was a very interesting twist. By the end, I really wanted to find out what happened to Daria's kidnapped brother and missing sea god. Thankfully I will get my answers in the next two books in the series! What made the experience of listening to Sower of Dreams the most enjoyable? This story was a work of art! It was magical, beautiful, spiritual, colorful and vibrant! My heart ached, broke, soared and filled throughout this story and I felt everything! Debra Holland's descriptions of these new worlds were so thorough and she never left me confused during this journey. She created such amazing worlds and brought them together in a way that I have never experienced before. One of the most creative books I have ever read and I truly loved it!